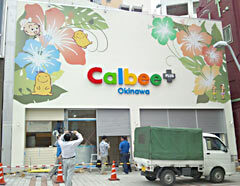 On August 23, in Kokusai-dori, Naha, the Calbee Plus Okinawa Shop opened as the first store in Okinawa directly managed by Calbee. On August 28, major Japanese snack food maker Calbee opened its first shop, called the Okinawa Kokusai-Dori Calbee Plus, in the busiest street of Naha. Unlike other retail stores, the shop is popular because items are cooked then and there, in front of the customers. The Naha shop menu includes the potato snack jagarico, and beni-imo or sweet potato, which is only available in Okinawa. The Kokusai-Dori shop is the fifth Calbee Plus, and the first one in Japan to be located on a main street. It is open seven days a week from 10:00am to 9:00pm. Pizza potato croquettes and the potato snack usushioaji, which tastes similar to Calbee’s popular pizza potato, are also sold only in Okinawa. It also has local products such as chinsuko and Ishigaki no shio on display in Calbee store for the first time. 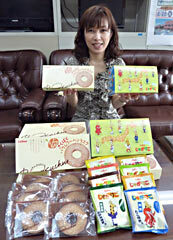 On August 23, at the Okinawa Prefectural Government Office, on the occasion of the opening of the Kokusai-dori shop, Calbee media-relations representative Sayuri Tagawa talked about snack food items only available locally. Okinawa store employs about 20 workers, who are mainly local people.